NCC does not offer college level sport activities. However, we do offer intramural basketball, softball, volleyball, soccer, and flag football. You also have free access to the Lifelong Learning & Recreation Center. Students taking a face-to-face class at NCC and registered for LLRC membership are eligible for free group fitness classes. NCC offers apartment style housing on our campus. Cherokee Hall offers one bedroom/one bathroom apartments for two residents per unit. Lyon Hall and O’Brien Hall offer two bedroom/two bathroom suites intended for four residents. New to NCC is Osceola Hall, offering suites for four students, with each student having their own bedroom. Helping our students find jobs in their chosen careers is one of the things that we do best! NCC’s employment rate is 96%. Many of our highly-skilled trade programs report 100% placement. The Admissions Team schedules visits on Monday–Friday at 8:30, 10:30 and 1:00. Visit times fill up fast, so schedule your visit today! It is best if you schedule the visit prior to 2 p.m. to assure that you can visit your program(s) of interest while the students and faculty are in class. To arrange a visit, please call 712-324-5061 or 800-352-4907 or email Student Services. To start, you need to complete an application for admission. You must also submit official transcripts from your high school, colleges attended, or high school equivalency results. 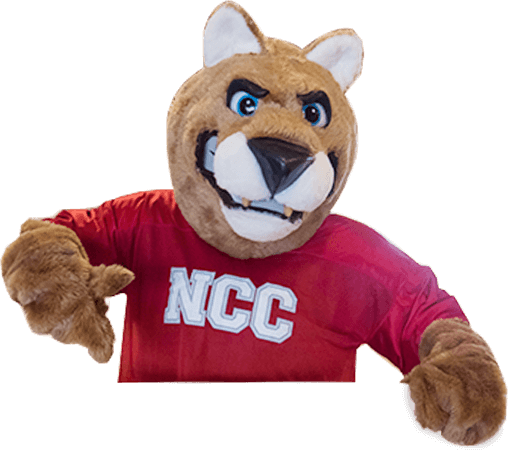 If you are not seeking a degree at NCC you need only submit an application for admission . Please indicate on your application that you are not seeking a degree at NCC (not eligible for financial aid). How much does it cost to go to NCC? The cost of attendance varies from program to program depending on fees, tools, and book expenses. For more information: NCC tuition and fees. If I want to transfer to another school, can you help me? I’m not really sure which program is the best for me. Is there help? We encourage undecided students to pursue the Associate of Arts degree. The AA program lets you explore a variety of subjects while cmopleting the general education courses required for most majors and at most four year colleges. Our Student Services Department works with undecided students, and an assessment tool can assist in decision-making. Email Student Services or call 712-324-5061, 800-352-4907 for more information. I’m on an alternate list, but what does that mean? Many of our programs fill up in quickly, so we encourage you to apply as early as possible. If you are not accepted for the term that you applied for, your name is placed on the alternate list for that term. That doesn’t mean you have to wait to start school! Many programs have prerequisites or general education electives that you can take before admission into the program. Email Admissions or call 712-324-5061 or 800-352-4907 for more information. I’m thinking about coming back to school, but it has been awhile. What should I do? You are never too old to start or re-start your education! For many students in your situation, the hardest thing is coming in the front door for the first time. However, NCC has a strong support system in place for you. Our Admissions staff will help you pick a major, get accepted, and receive financial aid. Email Admissions or call 712-324-5061 or 800-352-4097 for more information. Is there a cafeteria or food plan available? NCC has a cafeteria operated by Hy-Vee Food Stores. You can sign up for a meal plan with the Business Office. Is there a recreation center or work-out equipment on campus? The Lifelong Learning & Recreation Center offers students recreation, fitness, and leisure opportunities. The on-campus facility boasts an indoor walking/jogging track; a fully equipped strength room; courts for basketball, volleyball, and tennis; and state-of-the-art cardio equipment including treadmills, bikes, and ellipticals. Group fitness classes include yoga, indoor cycling, bootcamp, and more. There are also Recreation leagues and events such as volleyball, basketball, soccer, and dodgeball. NCC students have access to the LLRC and group fitness classes through the payment of their student activity fee (included in tuition). Call (712) 324-2493 for more information. Is there an on-campus daycare option? At this time, NCC does not offer on-campus child care. You can check with Student Services for possible daycare options in Sheldon and the surrounding communities. NCC gives out more than $100,000 in scholarships every year! To see the scholarships you might be eligible for, go to our scholarships page. New scholarships are added regularly, so make sure you check back often. Also check with your high school guidance counselors, churches, businesses, and possible future employers to see if private scholarships or sponsorships are available. What do students do for fun in Sheldon? Sheldon has plenty to keep you busy outside of the classroom. Sheldon has a movie theater, golf course, mini-golf, parks, and a running/biking trail that circles the entire community. NCC has intramural activities, clubs, organizations, and the Lifelong Learning and Recreation Center, featuring a state-of-the-art workout facility, gymnasium, and running track. Learn more about area activities. What programs are available at NCC? 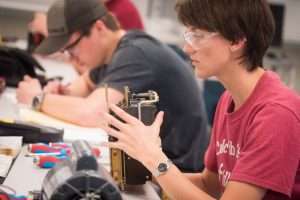 NCC currently offers over 50 different diplomas and degrees in health, business, transportation, electrical, manufacturing, construction, computers, and agriculture. Our Associate of Arts programs help get you started on your path to an advanced degree. Learn more about our programs. What type of academic assistance and tutoring do you offer? You will be assigned an academic advisor upon your enrollment at NCC. Your advisor will help monitor and guide your academic progress during your time at NCC. We also have TRIO Student Support Services and free tutoring in our Learning Center. To receive academic accommodations, please contact the Learning Center Director. What types of federal financial aid are available and how do I apply? There are many types of federal financial aid options, including subsidized and unsubsidized Direct Loans, Pell Grants, and work study. To find out if you are eligible for aid, complete the FAFSA form. You can also get more information about NCC’s financial aid process. What type of work is available while I’m going to school? NCC has a variety of jobs for our students on campus. A large portion of these jobs are available to students who qualify for federal work study. However, there is a list of both on-campus and off-campus job opportunities available on the job boards across campus and on the NCC Website.